FIELDNOTES - HONG KONG IS A LIMITED-EDITION (300 copies) SELF PUBLISHED BOOK OF NICOLE REED’S PHOTOGRAPHY THAT CONTAINS A 10” VINYL RECORD OF MUSIC BY PLUTONIC LAB (LEIGH RYAN). The collaborative work ‘Fieldnotes’ began development when Nicole Reed and Leigh Ryan began exploring and documenting their travels together. 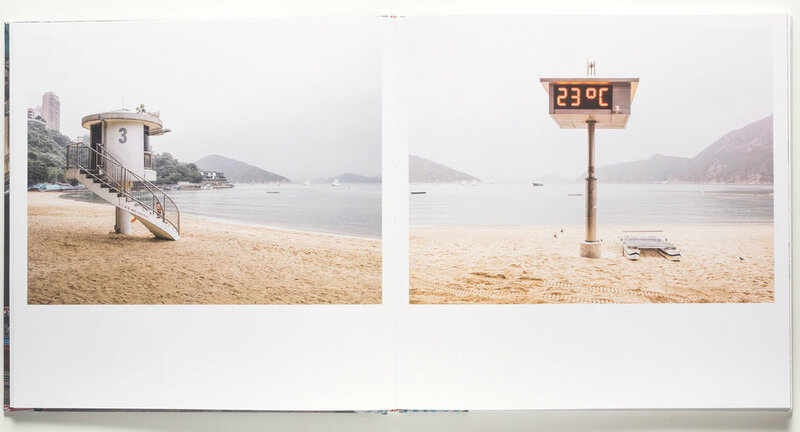 The first instalment is centered on the city of Hong Kong, and engages a uniquely tailored adaptation of the travel experience, blending the insights of Reed’s photography along with Ryan’s soundscapes. The inspired soundtrack for Fieldnotes Hong Kong, features Plutonic Lab's field recordings & sounds captured on location. These sounds have been masterfully woven into his percussive electronic soundtrack style & pressed onto limited edition RED 10 inch vinyl contained in a back sleeve of the book. During “Ghost Festival”, the deceased are believed to visit the living. The sounds of live street ceremonies in Staunton Street. An elderly busker battles the constant din of the bustling city. Dusty records and cassettes found in Lok Ku Road antique shops & Sham Shui Po. Detached radio voices of the frantic Kowloon taxi service at night. A lonely afternoon at Deep Water Bay, Hong Kong Island. An impression of 60’s instrumental records of East Asia.